Domestic Diva In Training: Just Do It June Workout schedule. 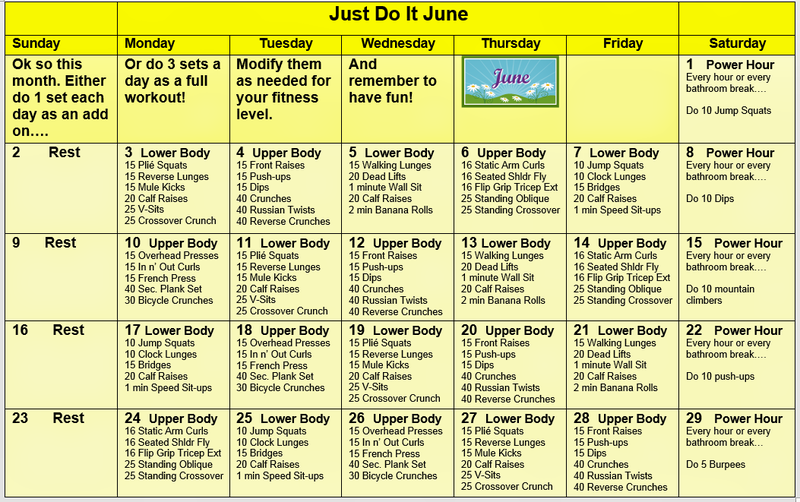 Just Do It June Workout schedule. Here we go! It's June again. Yikes. Here is a good total body workout that can either be a supplement or your whole shebang each day. Enjoy! As always you can join the Diva Facebook group to get more information and some group support.